First stop was at Arkakao for some gelato. It was oh so creamy and delicious and the flavors were so strong. Jesse got maracuya (passion fruit) and an 80% dark chocolate, and I had a dark chocolate orange with a vanilla swirled with caramel. Heaven. We then went to the Teatro Colon to see La Cenerentola, an Italian comedy based on Cinderella. Opera appears to be pretty popular here. When Jesse went to get tickets a couple days before the show, there was only standing room only tickets available and even that was filled to the max. We got a pretty good view of the show so it turned out ok. El Teatro Colon is one of the biggest (if not the biggest) theaters in Buenos Aires. It’s really magnificent. We’re going to go back for a tour and we’ll post more about it then. 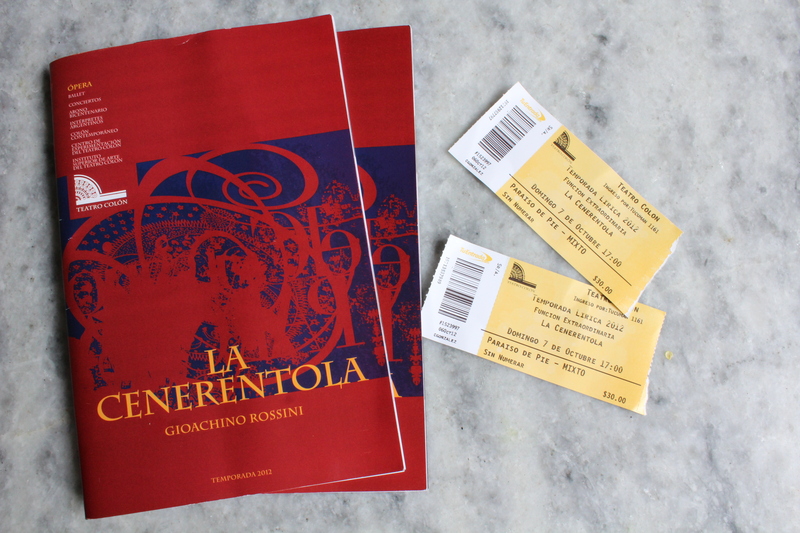 La Cenerentola by Gioachino Rossini, a comedy in 2 acts. How lucky can a girl be? She could have a soul mate like Jesse. She could be spending her 28th birthday in Buenous Aires. 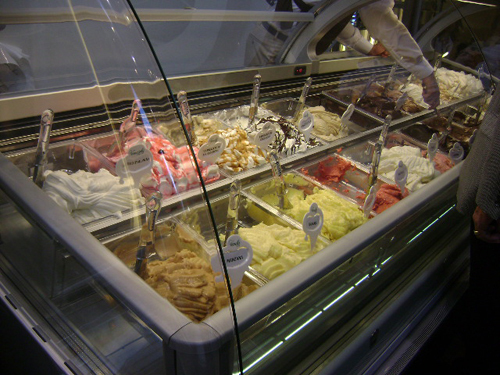 And she could be smacking down on gelato and anticipating Cenerentola. Naw, those are the things dreams are made of. Live your dream young lady. I am sure your birthday was extra special with dark chocolate! Sounds delicious. I am sure it was a day you will always remember. It really was amazing! 🙂 Wish we could bring you some of that gelato. It is, as my grandmother would say, to die for.